Two Mountains Merchants is a local café situated in a northern seaside suburb of the city of Wollongong, called Thirroul. 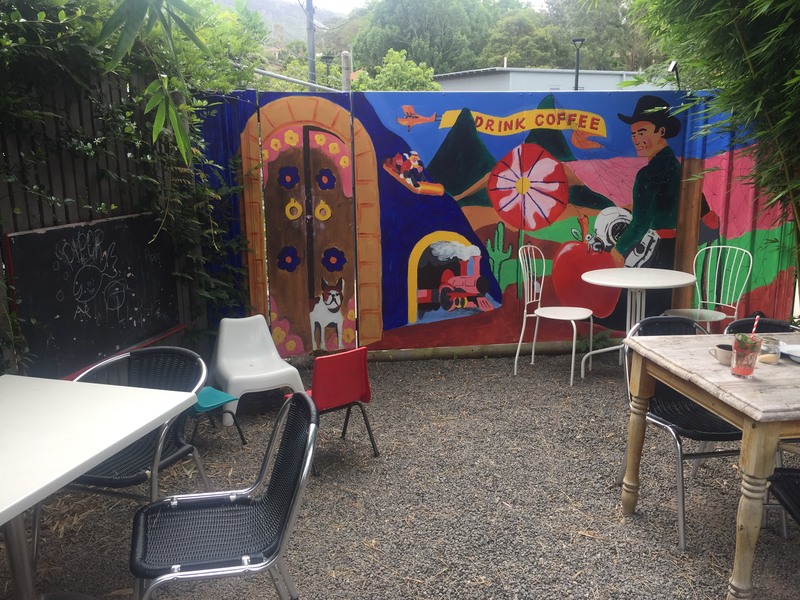 The cafe specialises in organic local produce and healthy meals that are popular amongst the locals and the cafe also attracts many visitors passing through the area. 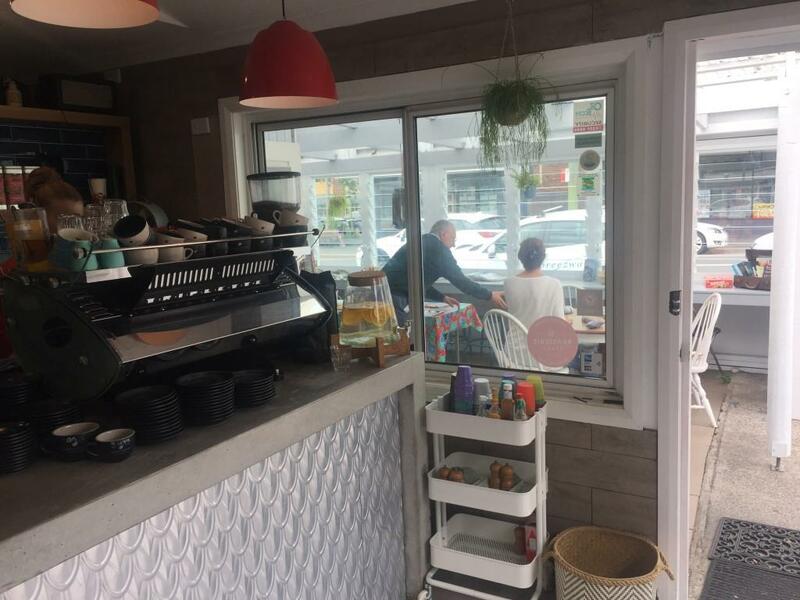 The owners of Two Mountains Merchants worked closely with their builder, Jason Miles, to replace the front windows in their café to help brighten up the area while providing plenty of ventilation for patrons to sit back, relax and enjoy eating their meals in a cool, refreshing environment. 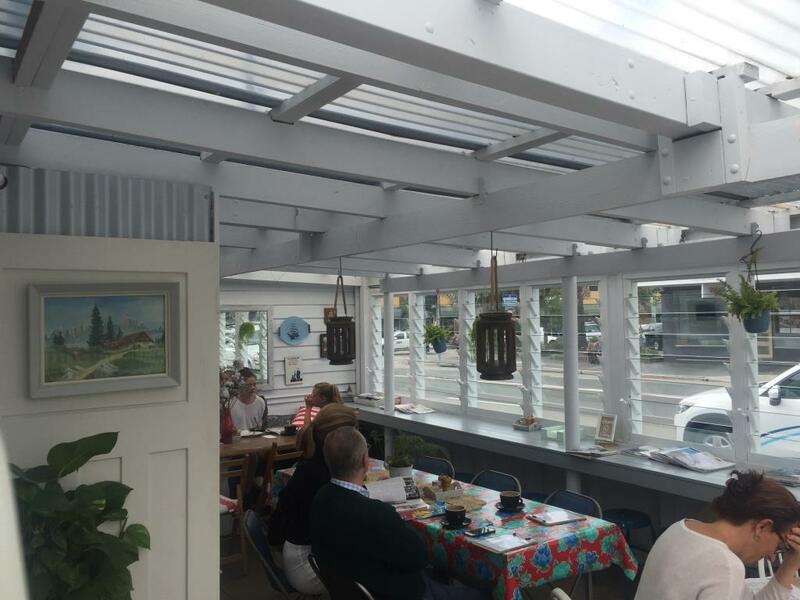 The owners were after a crisp ‘holiday house’ look that also had a vintage, maritime feel to it, and by using Breezway Louvre Windows recommended by Jason Miles, this really helped create the space they were after. 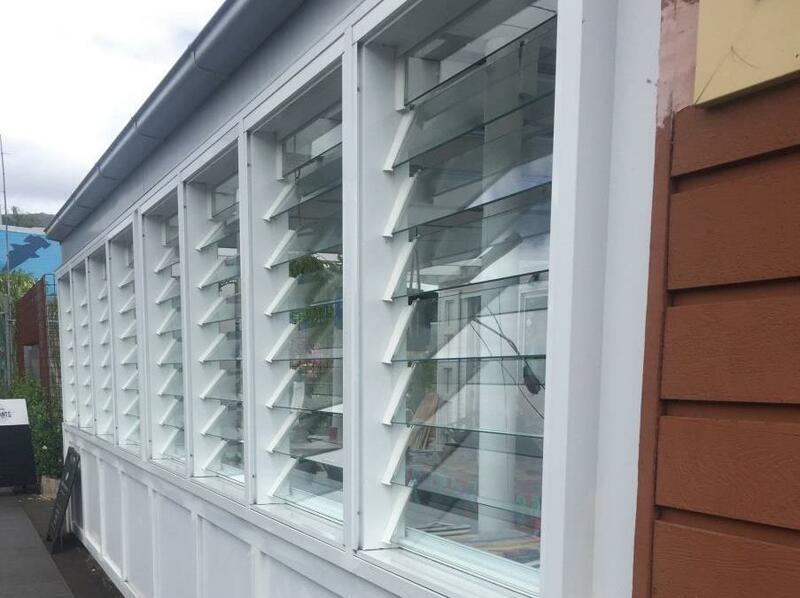 “We’re so pleased with the louvres – they look beautiful and are very practical.” Kate, Owner at Two Mountains Merchants.